A few years back, some really cool people got together and decided that independent record stores were something worth celebrating, protecting and promoting. 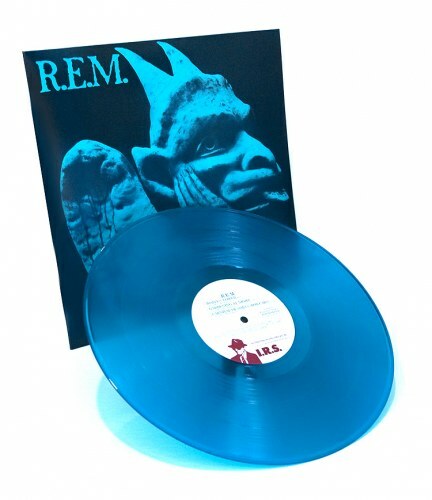 They made a baby, called it Record Store Day, and gave it to be raised by the people. Many music retailers and fans have gladly accepted the charge and have enthusiastically responded every third Saturday in April since then. Record stores host elaborate parties with in-store concerts, cookouts and festivities. Bands offer really cool, exclusive releases in limited quantities. Fans show up early, stand in long lines and shell out a ton of money, all while smiling from ear to ear. All the ingredients are there for a joyous celebration of all things musical and entrepreneurial. Well, well, well. Let me tell you about my Record Store Day experience this year. My local, independent musical retailer of choice has always been Grimey’s in Nashville. I love the place! It has a super cool atmosphere, a friendly staff and great in-store events. I was in line by 9:30 and planned to be in and out with my preselected purchases so Amanda and I could run some other errands. She waited patiently in the car as I inched closer and closer to the door to get in. “No problem,” I thought, “as soon as I cross the threshold I’ll just whip in, grab my stuff and whip out.” My jaw dropped as I finally got in. Wall to wall folks, hardly moving, no personal space, and only two cash registers. This was going to take awhile. Don’t get me wrong, this is no fault of Grimey’s at all. 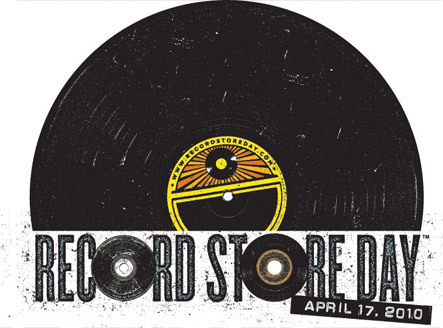 They are awesome and set up a killer Record Store Day with all kinds of fun stuff. There was just a ton of people trying to move in all kinds of different directions. It was simply physics gone awry. My most coveted selection was the re-issue of R.E.M.’s Chronic Town EP on blue vinyl. It originally came out in 1982 and was their first non-single release. By the time I finally weaved my way to the bin they were gone. 0 for 1. My next choice was Neko Case’s Middle Cyclone on clear vinyl. Again, empty bin. 0 for 2. This was not looking good. In order to save money I had only planned on three purchases and my last one was the John Lennon Singles Bag containing three 7” vinyl singles, (“Imagine”, “Watching The Wheels” and “Mother”) some postcards and a poster. I lucked out and got one of the last ones. 1 for 3. I wiped my tears, counted my blessings and headed for the cash register. By “heading” I mean I turned around and stood in another long line. While in this line there started to be a rumbling that another record shop, The Great Escape, was dead. 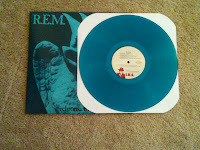 I called them and found out that they had the R.E.M. and Neko Case albums and asked for them to hold them for me. By this time Amanda had texted me that she was going to go ahead and run to Target to get one of the errands out of the way while I waited in line. It sounded good to me and I eventually made it to the cash register to pay for my lonely, individual purchase. I made my way out of the store and called Amanda to see how far away she was. She told me she had missed an exit and would be coming from the other direction. So I crossed the street and waited in a parking lot for her to get there. When she rolled up she was all apologies for a second and then WHAM!!! she pulled out a bag from The Great Escape. I was floored that she had gotten the goods and had pulled one over on me. But she wasn’t done. After pulling out the R.E.M. and Neko Case albums, I kept digging to find some other Record Store Day releases that she knew I wanted. The Bruce Springsteen “Wrecking Ball” 10” single, Tom Waits’ Mule Variations on 180 gram vinyl and a few other freebies. I was speechless. Not only had she done in 30 minutes what I couldn’t do in like 2 hours, she had spent more money on me than I would’ve on myself. That, my friends, is just one of the many reasons I am head over heels for this girl. She never ceases to blow my mind and knows how to get things done! She's even devised a game plan for next year already so we don't run into this again. Thanks for showing me how Record Store Day is done girl!